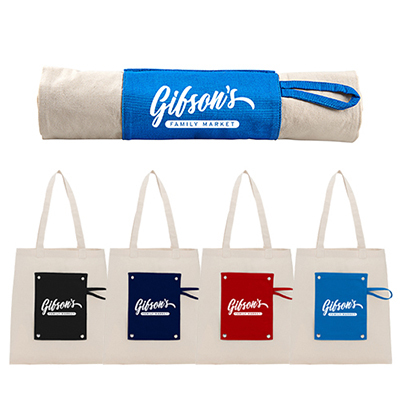 Use this promotional Gusseted Cotton Canvas Tote to get maximum visibility and recall for your brand. 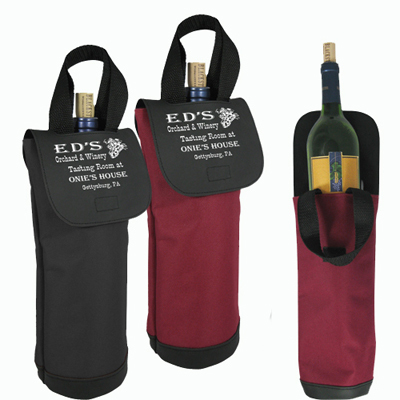 Sturdy and featuring color accent handles, this product is suitable for a long-lasting advertising campaign. 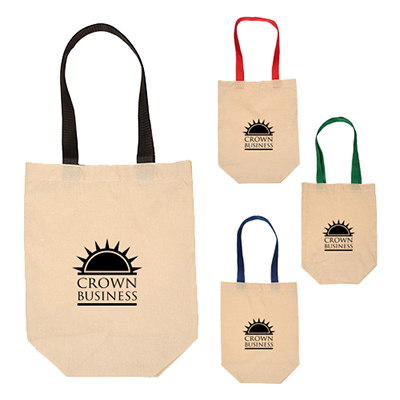 Place an order for these custom tote bags w/gusset and accent handles and distribute them among your most cherished customers and employees. 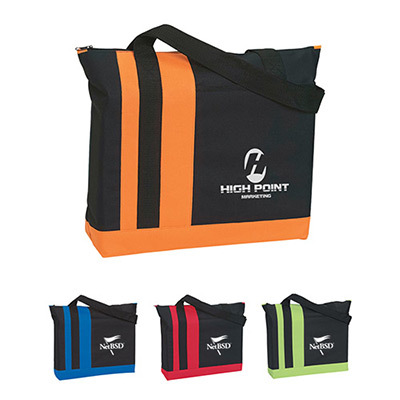 This tote will proudly showcase your logo to the world. "A big thanks to you guys for doing a good job with these totes. " 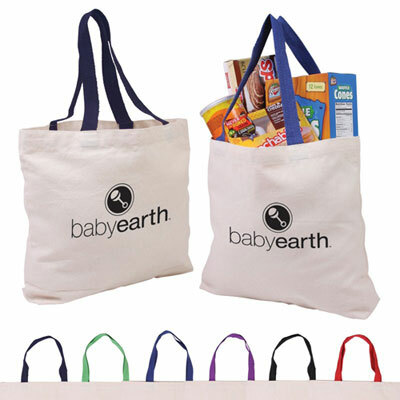 Market your brand with useful cotton totes!